The Express has won a national award for journalism excellence in science reporting from the American Association for the Advancement of Science. 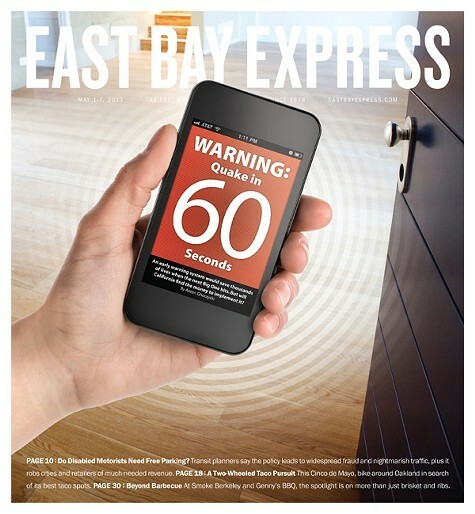 The paper won for Azeen Ghorayshi’s May 1 cover story “Warning: Quake in 60 Seconds.” Her in-depth report explored efforts by scientists at UC Berkeley to develop a statewide early warning system for earthquakes. The judges said Ghorayshi's piece was "sound on science and sage on the politics of earthquake early warning systems, and said the report explained "complicated seismology questions clearly and engagingly." Ghorayshi's award also includes a $3,000 honorarium. The UC Berkeley graduate and former Express staffer is currently enrolled in a graduate science journalism program in London. The first-place award was in the small newspaper category for all print publications in the United States with a circulation of less than 100,000. Founded in 1848, the American Association for the Advancement of Science is the world’s largest general scientific society and is the publisher of the journal Science.